FHA loans are government guaranteed loans that feature low down payments and more relaxed qualifying requirements than conventional loans. 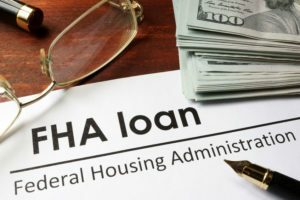 An FHA loan can be used to purchase a single family home, duplex, tri-plex or up to 4 units (when purchasing multiple units, one of the units must be owner occupied). Many homebuyers use FHA loans to purchase their first home or property. Low down payment – just 3.5% of the purchase price of your home, in most cases; Down Payment can be gifted by a family member*; easier to qualify for because they allow for higher debt to income ratios and lower credit scores; allow a seller to give you up to 6% of the purchase price to use as closing costs. *Gift funds are subject to underwriter review and approval.